For what it’s worth, I like Hanshin to make the postseason — especially with a second Wild Card now in place. Either Ichiro or Brad Pitt was batting when I took this -- don't remember which. I’ll have a few more posts in the next say or two, mostly about some cool touristy stuff I did Wednesday and Thursday. But first I gotta catch a plane halfway across the world. And then another couple planes all the way across the US. 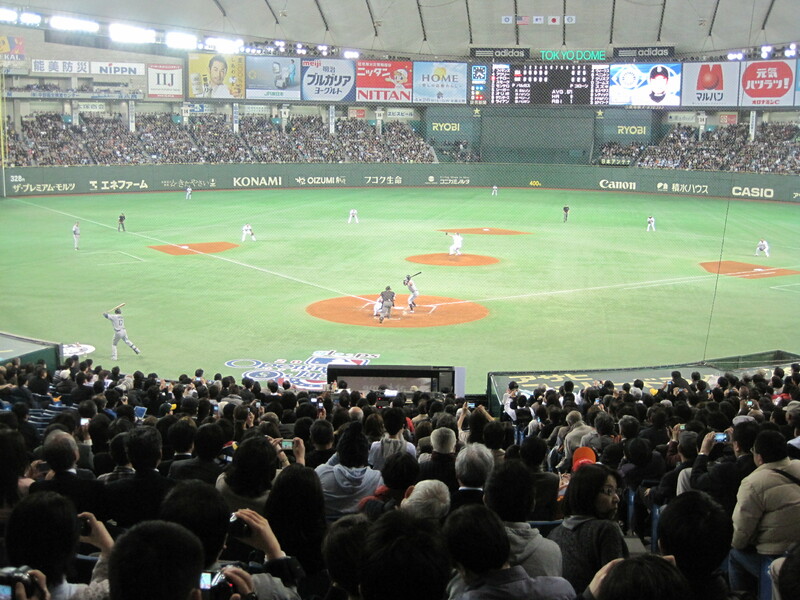 A week before the A’s-M’s arrived, I watched my first game in Japan at Jingu Stadium in Tokyo. 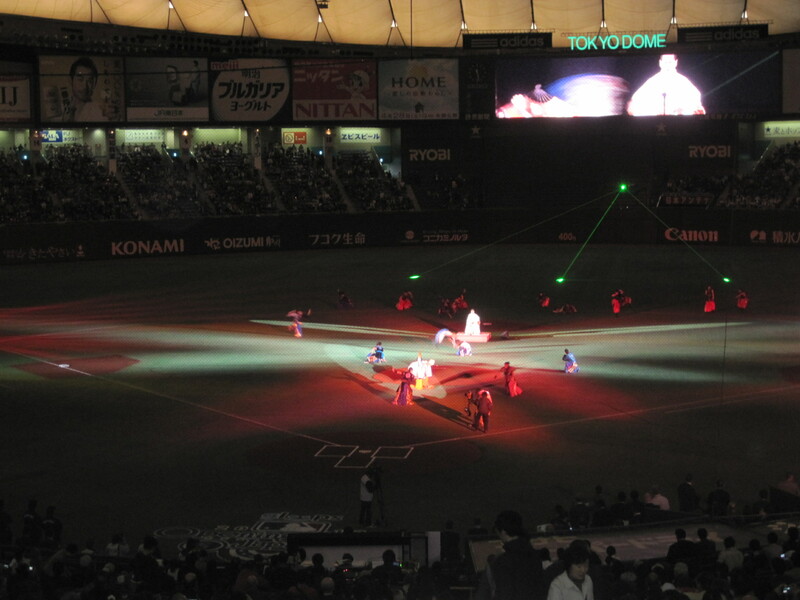 I had read that the fan experience there was better than other ballparks, and there is an entertaining little umbrella thing they do each time the Yakult Swallows score. 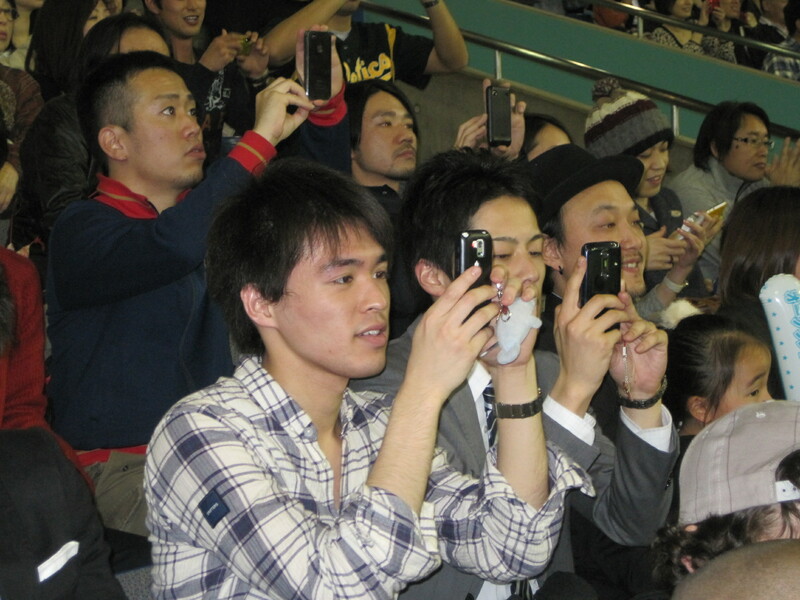 I got a kick out of the band and continual chants throughout the game; my Japanese girlfriend did not. Okay, I can see where they can get annoying after awhile, but I got into it. Also walked by the river in Osaka where fans of the Hashin Tigers jump into and once threw a life-sized Colonel Sanders in celebration because it was the closest thing resembling Randy Bass. Love Japan!